Erwan Poudoulec was born in the French region of Brittany. In 1997 he obtained the certificates C.A.P in Cuisine and B.E.P in hospitality and travelled through different regions of France to complement his training and to gain professional experience. In January 2005 he arrived in Spain, where he began working in the 5-star Hyatt Regency La Manga Club. Among his activities as a sous-chef was the supervision of different jobs in the kitchens, coordination of the room-service and of two operations centres. He then travelled to Ireland to take over as sous-chef at the gourmet restaurant "The Hall Door" at Castle Dargan Hotel. There he composed, supervised and executed the menu, based on local and seasonal produce. In 2007, he began working as chef at the exclusive Royal Island resort in the Bahamas, where he led the team of cooks and was responsible for the composition and execution of the menus. Between 2009 and 2011 he developed his career being the chief executive at the Montpelier Plantation & Beach hotel on the island of Nevis, a member of Relais & Châteaux with four diamonds in the American hotel classification "AAA Diamonds". In 2012 returned to Spain to become a chef cooking instructor at Le Cordon Bleu Madrid and, soon after, assumed the technical direction of the school. David Millet began his training in the culinary world at the age of fifteen in the kitchens of Liceo Hotelero Yzeure, France. 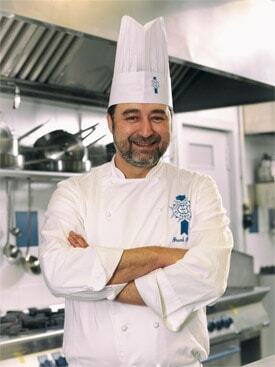 His career has led him to work in some of the most important kitchens of France: Restaurant La Divellec, Hotel Rosalp and the famous restaurant of the Eiffel Tower, Jules Verne. In Spain the chef has captained kitchens in the Hotel Villa Magna, where he worked between 1998 and 2006, in the Hotel Osuna and the Ada Palace Hotel, all in Madrid. A year ago this great chef has decided to pass on the knowledge acquired from his experience and career through the Cuisine programme at Le Cordon Bleu Madrid. He is outstanding in his passion, discipline, and commitment to work well done, and thus David Millet has become loved by students and respected by his fellow teachers. 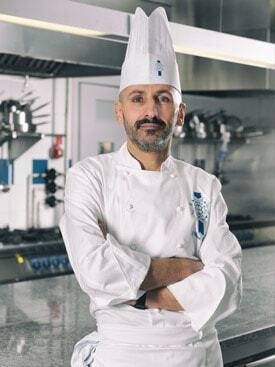 Having gained his C.A.P Cuisinier in the apprenticeship centre of Perpignan and having undertaken various professional courses with top chefs in France and the UK, Franck Plana began his professional career as an assistant at the restaurant La Terrasse au Soleil Ceret, with a Michelin star. He continued his career gaining experience in the best restaurants in France, such as Le Jardin de L'Opéra Toulouse with two Michelin stars, where he worked as a Station Chef. Four years later, chef Plana moved to Boston (USA) to become in the second chef in Cornuccopia and passed through several renowned restaurants. 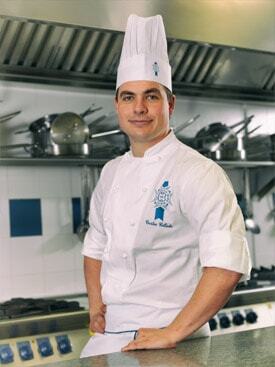 In 2001 returned again to France to become head chef at Le Bruit de la Mer. In March 2004, he took the next step in Spain as Head Chef at Lyncis, considered one of the best gourmet restaurants in the south. This experience was followed, among others, at Le Bistrot in Saint Tropez with restaurant category 13/20 in the Gault Millau guide, and at the four-star Hotel Marinca in Corsica. In August 2012, after having run his own restaurant in Valencia for several years, he arrived at Le Cordon Bleu Madrid to transmit to the students his passion for cooking and as well as his technical knowledge and many years of experience. He is currently the Professor Chef of Cuisine. Chef Yann Barraud was born in the French region of Vendée in Luçon, and grew up in a family of cooks. Sticking with the family tradition, he studied cooking at the prestigious "Ecole d 'Arts Culinaire" of Saumur in France. After graduating in 1988, he acquired considerable experience in hotels and restaurants, including the two Michelin star restaurant "Laurent" in Paris, where he worked as a Station Chef. In 1992 he moved to London. He worked as sous chef at "Le Souffle" restaurant located in the Hotel Inter-Continental, holder of a Michelin star. After this position he joined the team of "La Belle Epoque", as head of production at its three restaurants. He continued his brilliant career as Executive Chef at the "House of Albert Roux" London, being responsible for both of the cuisine and pastry teams, as well as the consultancy of Albert Roux (the first French chef who earned three Michelin stars in England) where he was responsible for researching new projects. 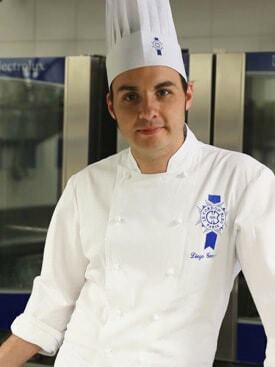 Chef Yann Barraud has also represented England in various culinary competitions. 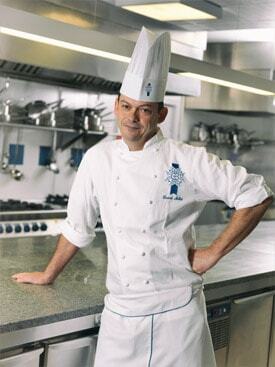 In 2000 he joined Le Cordon Bleu London as chef professor and was appointed in 2004 as Head Technical Chef. 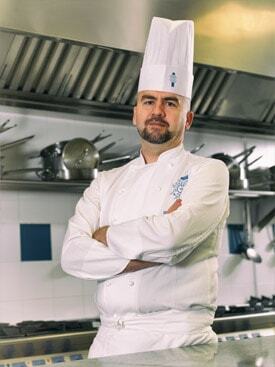 At Le Cordon Bleu, Chef Yann Barraud has taught at the headquarters in London and Paris, and has collaborated with Regent Seven Seas Cruises; there he formed the cuisine teams of different cruise-liners of the company and also offered cooking classes to passengers during their voyages. He has also been a judge in cooking competitions and has participated in various exhibitions around the world. Since becoming part of the team of chefs at Le Cordon Bleu, he has represented the institution in places like Mexico, Santiago, Kuala Lumpur, India and Indonesia. He has also worked as a consulting professor at Chicago (Illinois), Austin (Texas) and San Jose (Costa Rica). Carlos Collado, born in Bustarviejo de la Sierra (Madrid), started his career in the gastronomical world when he was 18 years-old. During his learning years he combined his technical and superior studies in the Hotel Escuela of Madrid with different jobs in the industry. The career path of this young chef has led him to most of the areas of the culinary world (restaurant, hospitality, catering, etc.). This solid experience, which has turned him into a versatile chef, has given him the knowledge and abilities that any talented chef’s career needs to evolve. 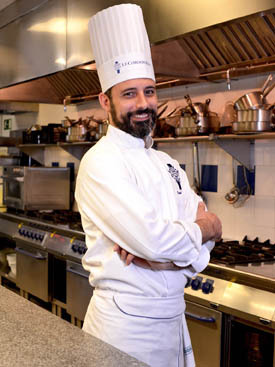 Almost four years ago, Carlos Collado joined Le Cordon Bleu Madrid and his experience and motivation has turned him into a key figure in the team of Chefs that teach at the School. After being in charge of the production kitchen for a year, he now works as a teacher of the Spanish Cuisine program since September of 2013. Trained in the School of Hospitality El Cenador of Salvador (Madrid), chef Diego Muñoz has a broad experience after his journey through some of the most important restaurants of the country such as the Restaurant Echaurren in the Rioja, Atrio in Caceres, La Broche in Madrid, or, outside our borders, such as the restaurant Patrick Guilbaud, in Dublin. The chef came to the School in 2016 to be part of the teaching team for the Spanish Cooking Diploma, endorsed, in addition to his professional career, by his teaching vocation, having previously taught st several Cookery Schools. 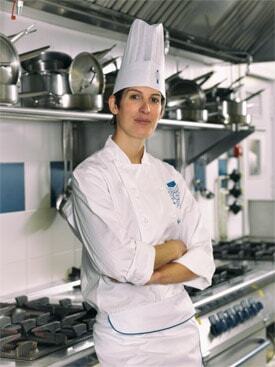 Amandine Finger began her training in the world of pastry at only 15 years old. During her formative stage, Amandine participated actively in several culinary competitions, winning the Lauréat Décoration du Concours. She has been pastry chef of a wide range of restaurants and hotels and, since January 2013, has devoted much of her time to training future chefs. Rigorous, dynamic, creative and organized, Amandine Finger joined the kitchens of Le Cordon Bleu Madrid in November 2014 and in a short time she has become a fundamental piece of the pastry programme. Having studied pastry, chocolate making, ice cream making and confectionery at the Lycée Hôtelier Saint-Louis in Toulon, chef Clement Raybaud has worked at some of the most luxurious hotels and important restaurants in the world. He’s held roles at leading restaurants such as La Cote D’Or, Louis XV, both of which have 3 Michelin stars, the luxurious Jumeirah Beach Hotel in Dubai, the Shangri-La Hotel and the Hotel&Resort Nikki Beach, also in Dubai. Raybaud has also spent time at the Bellouet Conseil cooking school in Paris and the renowned Parisian macaron maker Ladurée. He also served as Sous-Chef Pâtissier at le chocolaterie Jean-Paul Hevin, in Paris. After over 20 years in the pastry world, this chef stands out because of his passion for accepting challenges, his excellence and his team spirit. A set of skills that saw him join the teaching staff at Le Cordon Bleu Madrid at the end of 2018 as the head of Pastry course, where he will share his experience and mastery with the school’s pupils.